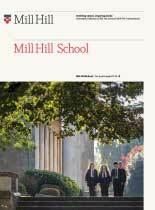 Due to the wonderful location, Mill Hill School Foundation and its grounds have become popular locations for Wedding Receptions, Christenings, Bar Mitzvahs, Bat Mitzvahs, Special Occasion Parties, Corporate Functions and Filming and Photographic shoots. Each event is tailor made, in order to achieve your expectations and we are always willing to arrange a tour of the school. From the Wedding Breakfast to a magical evening party we can help you to create the perfect wedding day. Our historic Dining Hall has a stunning view of London with a newly refurbished Octagon and our beautiful Large Hall, is a grand setting for a party. We can provide all your catering needs for 120 guests with menus to suit most tastes. Phone us or email us today to chat about planning your ideal wedding day. Mill Hill School is an unusual location for a special party, choose from our Grand Large Hall, to a more informal setting in one of the smaller halls. From Buffets to Bar–b-ques, we can provide all you need for your celebration. Plan your corporate event with ease. We can cater for small and large groups in a unique and historic setting. Ideal for Product launches, Business meetings, Corporate events and Fun days. Every size is available to hire whether you require a party, Corporate meeting, Educational courses or Activity camp. Plan your event with one of our experts today by calling or emailing us. With such a large variety of buildings and grounds to choose from, Mill Hill School Foundation is convenient both for its location and flexibility. It is ideal for many types of photographic shoots, from Catalogues and Brochures to Advertisements. Recent clients include Roderick Charles, Hackett Clothing, Ted Baker, The Daily Mail, John Lewis, Tatler, Tesco and BHS. All managed by our experienced staff. Mill Hill School has proudly featured in many popular big screen films & television series including BBC’s Life’s Too Short, The Katy Brand Show, Jamie Oliver’s Dream School, Waking the Dead, Summerhill, Cash in the Attic, MI High Gastronuts, ITV’s Rosemary & Thyme, Inspector Morse, William & Mary, Lewis, as well as Tim Burton’s Dark Shadows, Bollywood movie Desi Boyz, Indiana Jones and Neverland. Many music videos, commercials, short films and documentaries have also been filmed here. Film companies benefit from being able to choose from the large variety of buildings, old & new, as well as 150 acres of beautiful grounds. Call us for a tour of the school to fully appreciate all the great filming opportunities.